Well after much preparation the Big Weekend is over for another year, and what a success it was! 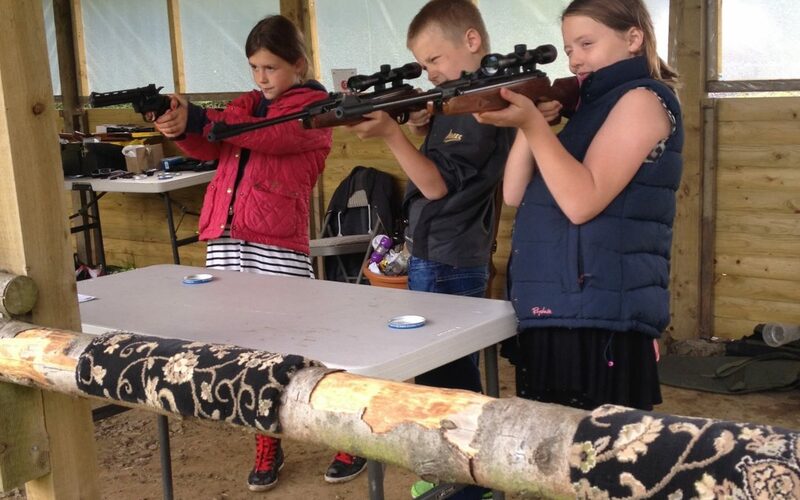 In true Yorkshire style the weather was not on our side on Saturday, But this did not dampen spirits and adults and children enjoyed slightly soggy archery, rifle shooting, bumper balls, go-carting, mountain boarding, pistol shooting, low ropes and many more activities. Mountainboard com Pro category, Saturdays border cross – 3rd- Andy Brind, 2nd – Jack Chew, 1st our very own Alex Smith. Sundays Freestyle, 1st- Mark Adams, 2nd- Matt Brind, 3rd- Andy Brind. Once again Andrew was in charge of the BBQ and the burgers and sausages went down very well with the hungery crowd. Rinsed down with a pint of local ale (Stod Fold Amber) that takes its water from the stream that actually runs through Another World Adventure Centre. Evening entertainment was supplied by two bands Velvet disguise and Nightschool plus a few words from the infamous Lizard Stu back form his recent wanderings in Cambodia. Followed by the evenings DJ and Karaoke maestro- Neal Knowles Brown who provided us with great music into the early hours and rounded off a truly superb day. Campers saw a brighter Sunday and Awoke to the amazing scenery and wild life that the 34 acres at Another World adventure centre has to offer. For those people who had not had there fill of excitement on Saturday, all activities were again free to use for wrist band holders and £3 per activity for people without. Credit goes to all the instructors who worked hard over the two days to demonstrate and instruct their individual activities. Their great sense of humour and knowledge of their individual activities, made for a truly fun weekend.